What Should I Do For My GIS Project? Many of us have encountered the following question from students: “What should I do for my GIS project?” Or, perhaps you are that student looking for a GIS project. While the best project is the one that students come up with themselves, sometimes, suggestions are helpful to get started. If you choose to provide suggestions, below are some that I have provided to GIS students at many times in the past. I always encourage the student to discuss his or her thoughts with me or their peers rather than me providing a simple list. I encourage students to start with issues that they are most passionate about. Don't pick something where you can easily find data, or even something your professor is interested in... pick something that you are interested in. The United Nations Millennium Development Goals provide a good framework and starting point, because these goals that address poverty, health, education, and others can all benefit by the spatial perspective and spatial analysis through GIS (http://www.un.org/millenniumgoals/). Along the same lines are issues raised by books in particular fields, such as the book Essentials of the Environment. Another rich source of ideas is the annual Esri Map Books: http://www.esri.com/mapmuseum. Each 2-page spread in these books features a problem solved through the application of GIS—anchored in hundreds of disciplines from agriculture to zoology. Along similar lines are the Esri industry pages (http://www.esri.com/industries), which give a good sense of the fields in which GIS is used with additional details through written stories and videos. I encourage students to read scholarly and trade journals, and to skim GIS blogs, Facebook pages, and investigate ideas on GIS web news services such as Directions Magazine, GIS User, GIS Café, www.esri.com/news, and others. I encourage students to read local, regional, national, and international news to get a sense of issues of critical importance. In my local community, the top issues at the moment are deciding which schools to close in the wake of budget shortfalls, and mitigating and dealing with the aftermath of recent wildfires in the mountain foothills. In my state of Colorado, top issues include pine beetle infestation, designing urban greenways, extracting natural gas and oil shale, and an issue that has been with us for 150 years—water quality and availability. Just look around you. Current events from political instability to natural disasters to economic inequality, energy, water, and many more are valid foundations upon which to build GIS projects. 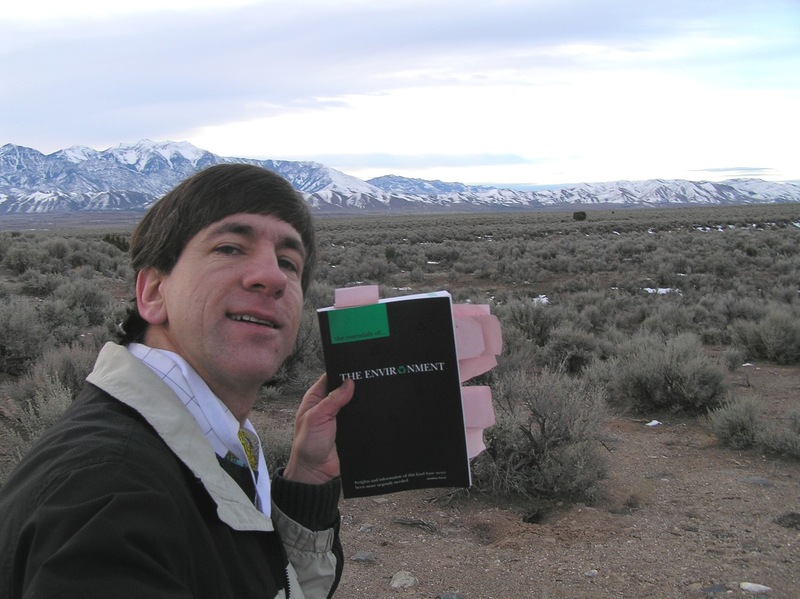 How do you respond to the question “what should do for my GIS project?” Some of my best ideas come from when I am out in the field, such as here in Utah. You covered the best sources of ideas! Local agencies generally welcome students who want to voluteer and offer their course project to analyze a community issue or discover geospatial patterns. It is a win-win because the agency most likley will have the data ready for the students, making their task easier. Greetings: You might use some search terms such as community and civic in the Esri User Conference proceedings, and the URISA conference proceedings. Both are available on the web and the Esri UC proceedings go back over a decade. That will give you a good idea of what issues people are examining. There is also the Esri Press book entitled Making Community Connections which you should be able to get on interlibrary loan if you don't have a copy at the University. Also the URISA Journal has some articles in this regard. To connect with the geospatial community in TX, look up the folks at TNRIS.ORG, and also find some people via geomentor.org. I hope this helps and best wishes to you! My name is Alex and from Scotland. I currently work for the Scottish Government assessing farm land for subsidy through the use of GPS technology to gain correct areas of fields through various measures of payment. Within in our office we heavily rely on our own GIS system and GPS'ing is a line of work I enjoy. I am hoping to further my knowledge in this line of work and am currently embarking on a masters degree in GIS at Edinburgh University. I am however seeking an idea for my research proposal and would like to link it to agriculture if possible. Would you recommend any ideas? http://www.esri.com/mapmuseum You can do a search on Agriculture. Many many examples. http://www.scgis.org and contact some of the members, or subscribe and post to their listserv. 1. The difference in water levels during different months of the year. 2. Rain fall patterns through out a certain amount of time. 3. Soil nutrition of surrounding areas. Any feedback would help a ton! Thank you! Hello, I found this blog while searching for a GIS project topic. I am very new to my field of study and this will be my first GIS class so I need a somewhat simple project but I'd like to relate it to storm water systems, wetlands, watersheds or urban impaired streams. I live in Maine and am in a Masters of Community Planning program with a focus on sustainability. I ordered the book Essentials of the Environment but it is being sent by mail and will not get to me right away. I need to have at least some ideas by tomorrow. Do you have any ideas? Glad you found this to be useful. 2. Have a look through the www.esri.com/mapmuseum - books with maps from GIS users from around the world - and search on the terms you indicated in your comments, for ideas. 3. Talk with Tora Johnson sometime at the Univ of Maine Macchias - she is great. Hope this helps! Best wishes. I like your online courses, it helps me day to day to improve my GIS skills. Germain! You are tooooo kind. Thank you so much but keep up the good work YOU are always doing. Good idea I like your blogs.. I am looking for a student who might be interested in working on developing a GIS database for a field conservation project which involves a several years of mark and recapture data with a state threatened lizard species. Feel free to contact me if interested. I'm a graduate student from the University of Auckland in New Zealand. I realise that this is an old post, but I'm struggling coming up with a project for a report I have to do for my Landscape Archaeology course. Any ideas? I want to carry out a viewshed analysis but the areas I'm interested have had viewsheds done in those areas. ...entitled The Archaeology of Engagement: Conflict and Revolution in the United States, edited by Dr. Dana L. Pertermann who teaches at Western Wyoming College, and Dr. Holly Kathryn Norton, who is the State Archaeologist for Colorado. You could also do something with GeoDesign; I don't think anyone is weaving in GeoDesign into archaeology yet so you would be forging new ground. I am about to complete bachelors in GIS and am currently thinking of a final year project. I was thining of something in the line of spatial analysis, such as precision agriculture. Can you guide me so i can think of a project. ... for ideas. Best wishes to you! I'm looking for information related to linear referencing and any projects related to the same. Where do you think I can get proper guidance? On this topic - http://desktop.arcgis.com/en/arcmap/latest/manage-data/linear-referencing/what-is-linear-referencing.htm - look at - 1) the www.esri.com/mapmuseum - for projects that have been submitted to the Map Gallery - some of them may use linear referencing. and 2) the Esri User Conference abstracts each year - there may be some, again, that use these techniques; and 3) My book "Spatial Mathematics" might be helpful to you. All best wishes! i need help for GIS project what should the project proposal for GIS Final year. Greetings - You might look at http://www.esri.com/mapmuseum for examples of what people are doing around the world in GIS. That might spark some of your own ideas. Let’s start with a brief introduction! I have taken up the ArGis specialization course on Coursera and have completed first four courses. Now is the time for the final project where we have to design and work on our problem. There are 6 weeks to complete it. I would like to share my project idea with you. •The property tax in the state of Illinois is the second highest in the USA, although the property price is lower compared to other states. •I understand that the property tax contributes majorly to finance public schools and local municipality, county, park and library funds. •What is the relationship between the location of best high schools (as per nationwide ranking) and high property tax levied in the counties of Illinois? •What is the in-migration and out migration ratio in between the counties? Is it because of the high property tax? Im a final year GIS undergraduate student at the University of Zimbabwe.l really dont know what to do for my dissertation but was interested in doing something about analyzing sewer hotspots in a certain city in Zimbabwe. Anyone with suggestions please help me come up with a sound and solid project evenif its outside hotspot analysis.